I really like ordering stuff from Dennis Kirk. Since they are located only an hour north of Minneapolis, anything I order typically arrives next day even though it ships standard UPS Ground. You can also buy stuff in-person at their warehouse although the process is a little strange (because they are primarily a catalog dealer) but it's really great for trying on a bunch of helmets. Because I am in the progress of a tank lift and wire tuck, the coil and spark plug wires are much more visible than they were. To dress it up, I went with Candy Red wires from Magnum Shielding. I went with red because my tank will eventually be red & black. 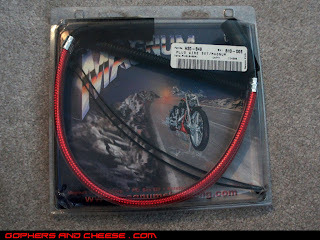 I also picked up some 1/4" and 1/2" Roundit Wire Wrap (6' length) from Kuryakyn. This will hopefully help tidy up my wire tuck without having to cut any wires. Since I had to cut the clamp that held the gas line to the petcock, I got some cheap worm clamps. I might get some fancy ones later but these should work. I'll get to my brake pedal repair job eventually but I knew I needed a replacement shift peg since I plan to (once again) cut off the "meat tenderizer" pedal and drill & tap the lever to accept a shift peg. It makes the levers much more symmetrical. 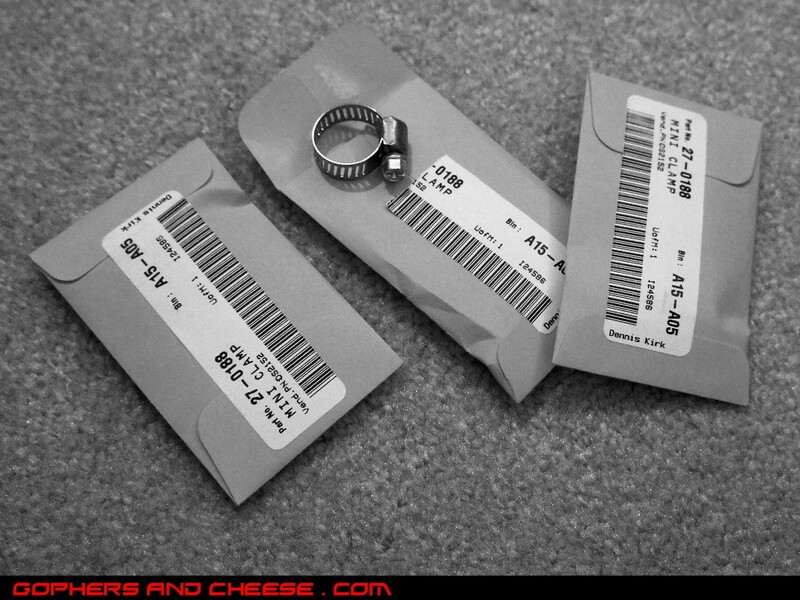 My grips and pegs are all from Kuryakyn. Once day I'd like to switch them all over to Hippy Killer Garage ruby metalflake but not yet - too many projects already. 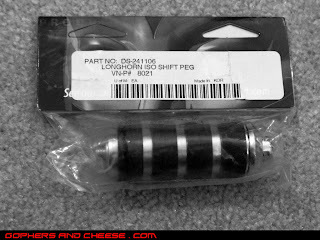 I picked up a few other miscellaneuos items too including some spark plugs. 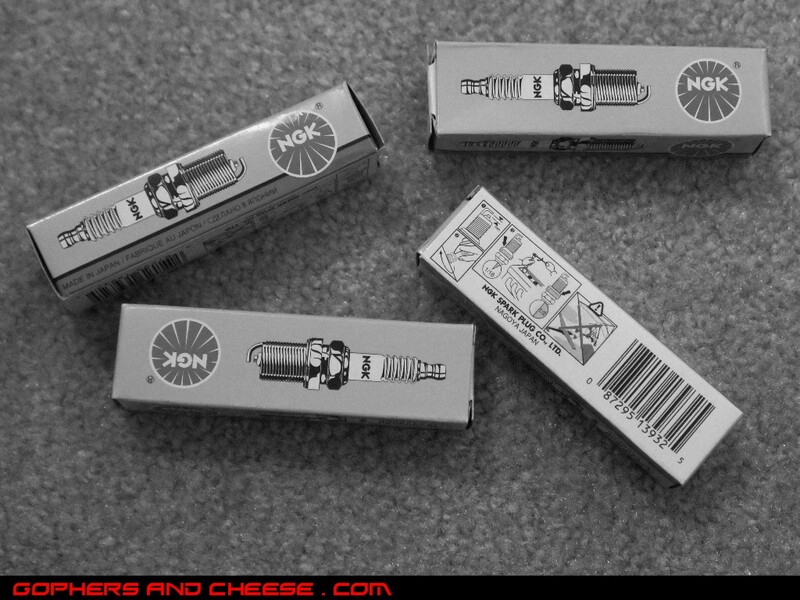 I normally run standard H-D plugs but have only heard good things about NGK so I got a few. I got the basic ones, not the iridium ones. Both the Sporty and Road King take the same size, which is nice. 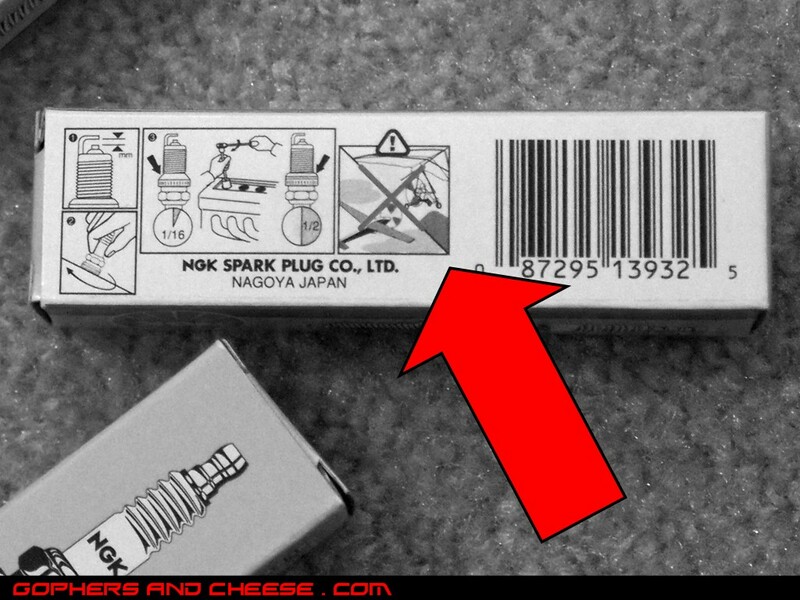 I love the warning symbol on the side. I think it means not for use in airplanes or powered parachute / powered hang gliders. That's really specific.